LIFE WIRE is a R&D project co-funded by the European Commission, through the LIFE+ Environmental Policy & Governance programme. The project started in October 2013 and is expected to be completed in September 2016. 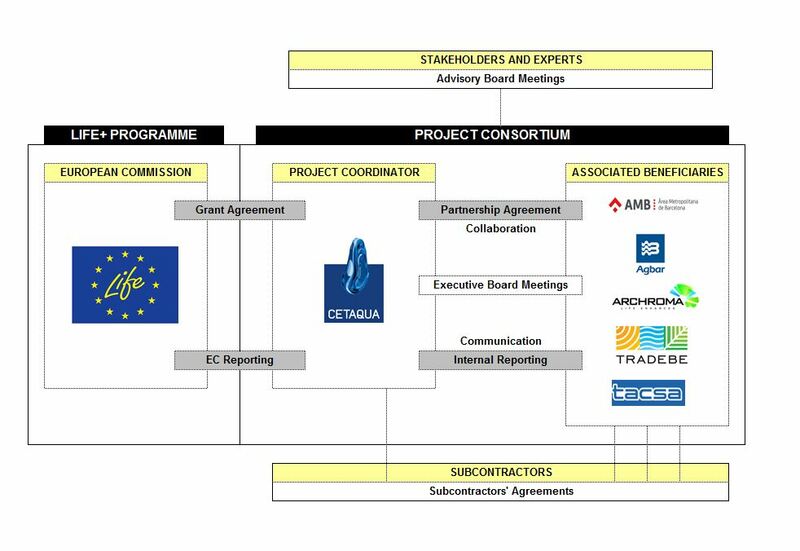 The LIFE WIRE project is coordinated by CETaqua water technology center, and counts with Aigües de Barcelona, Empresa Metropolitana de Gestió del Cicle Integral de l’Aigua, S.A. Àrea Metropolitana de Barcelona (AMB), ARCHROMA, ECOIMSA, and TACSA as project partners. The LIFE WIRE project also counts with the participation of several stakeholders belonging to several EU countries and operating in different sectors within the urban water cycle. These include private companies and public organization, regulators in charge of water supply, sanitation and wastewater treatment as well as potential end users of reclaimed water and organizations devoted to the promotion of sustainable water resources.